We live in the age of Songza, where you can have a customized playlist to fit your moods, and it’s damaging the reps of DJs, because then you don’t need compilation mixtapes like this one. 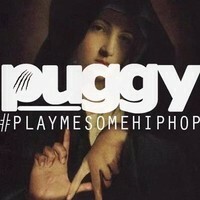 DJ Puggy hails from Montreal, Canada and this is his first Hip Hop mix, and it features a lot of hits; particularly club bangers. Trap influenced beats have been dominating mainstream hip hop for a while now. This is the mixtape you’d want to listen to if you want to ‘turn up’. So, turn it on and turn it up. Enjoy. Is there any other link to download this tape? No, that’s the only one that was available, I believe.